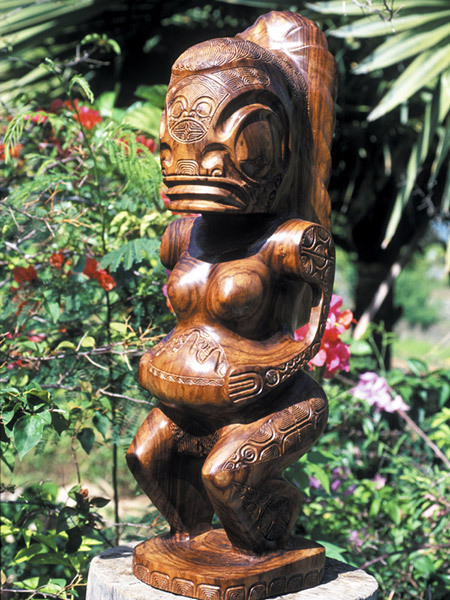 Originally from the Marquesas, the Tiki statues are present on most of the Polynesian islands. These sculptures in wood or stone represent Ti’i, ancestor half human half god who according to legend was the first man. This is often represented as a stocky man with arms stretched forward, his hands on his stomach and legs folded. It usually has a huge head, symbolizing his power. Her big eyes represent knowledge. Very expressive, this tiki has a big mouth sometimes giving it a happy or rough air. The Polynesian tiki can be a whole man, or only a head depending on the skill and perserverance of the sculptor. Often placed outside houses, tikis are present to protect the inhabitants. Still very attached to their traditions, Polynesians respect as in the past these protective statues. In popular belief, it is said that every Tiki has its own personality and some are evil while others benevolent. The shapes and sizes of tikis vary considerably. The largest ever discovered in Polynesia measuring 2.35 meters and is proudly placed on the island of Hiva Oa in the Marquesas, overlooking the marae in the Bay of Oipona Puamau. In contrast, smaller tikis are in the form of pendants a few inches made ​​of bone, shell or coral. Each Tiki has its own meaning: some represent wisdom; others symbolize loyalty, dance, or force. One of the known variants of the Tiki is the Moai, a monumental stone statue installed on Easter Island. These moais differ of the Polynesian tiki by their large size and more slender appearance. 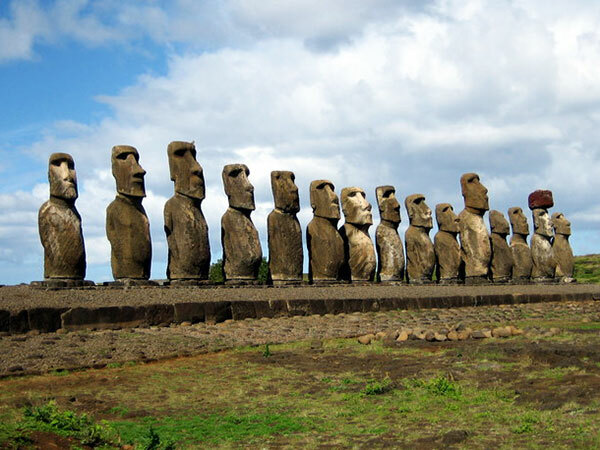 The size of a moai varies between 2.5 and 9 meters, with an average weight of 14 tonnes. 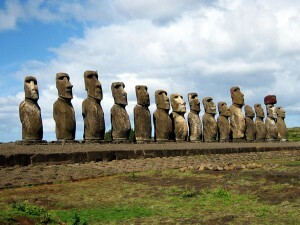 As for the tiki, the Moai are monolithic, carved from a single block of stone. Generally oriented to the interior of the island to protect the villages, the seven moai of Ahu Akivi are the only ones facing the ocean. These represent, in the words, seven explorers arrived on the island many years ago. 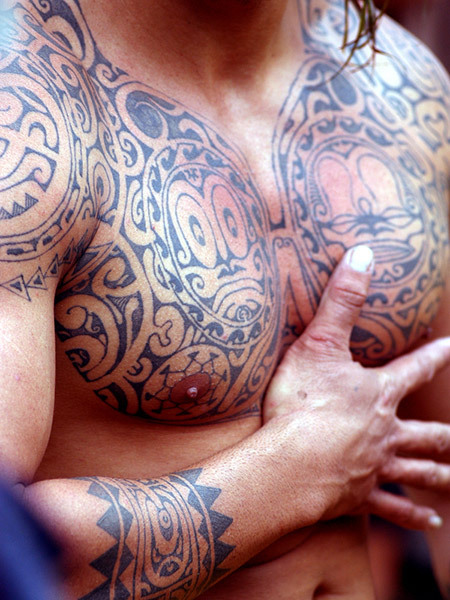 Nevertheless, the Tiki is a very powerful and enigmatic icon of Polynesian culture, symbolizing true spiritual strength. Therefore, visitors who pass through our islands take with them as a souvenir a little tiki figurine to protect them later in their journey.